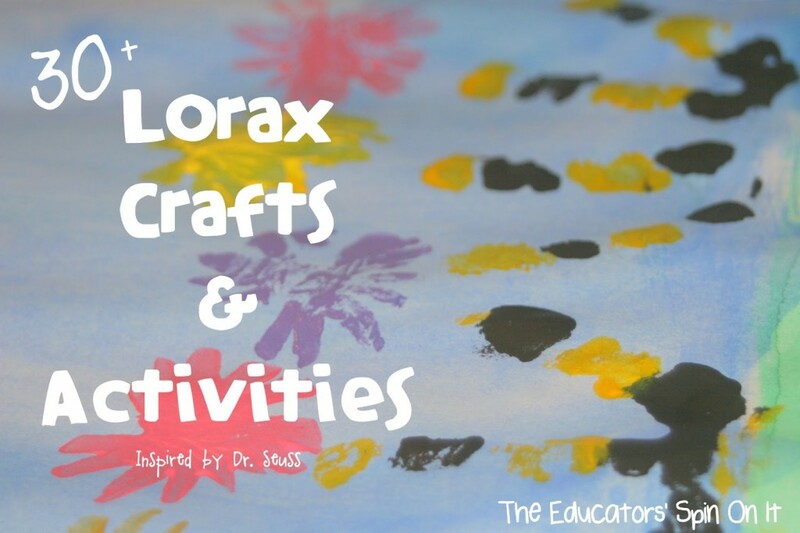 Explore the popular book with 30+ Lorax Activities for Kids. 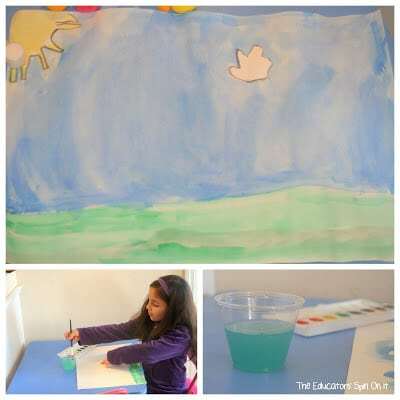 Start by creating your own handprint truffula trees inspired by the popular book by Dr. Seuss called The Lorax. 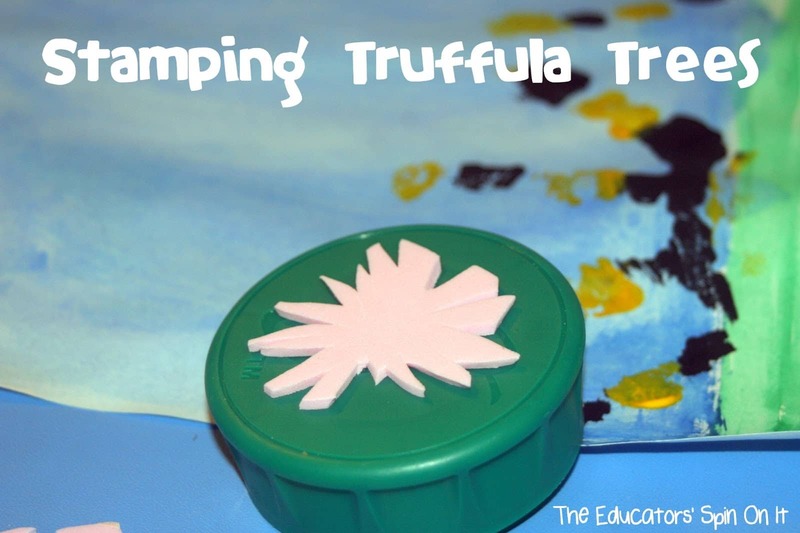 With just a few supplies and your hand you can invite your child into this colorful word that teaches our children to take care of the earth. 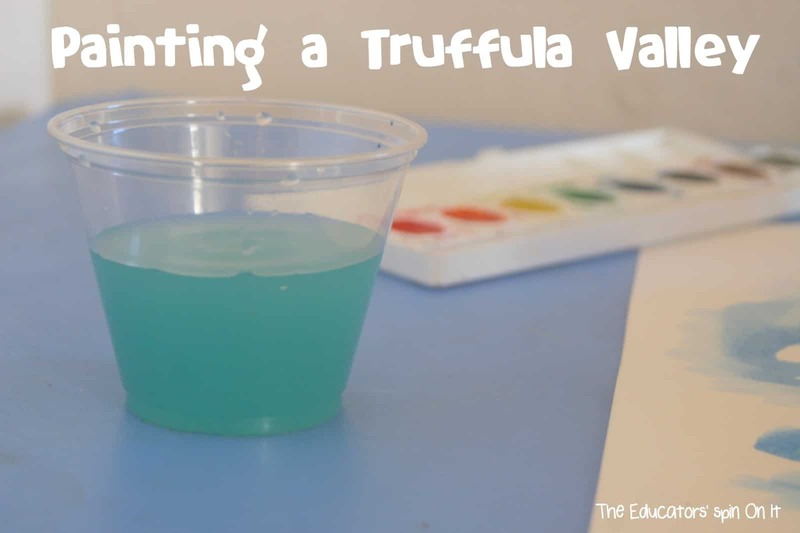 Here’s how to make your own handprint truffula trees! There is one author that no childhood would ever be the same without. This author would be Dr. Seuss! His creative mind has kept children reading for decades through the 44 books he’s written! 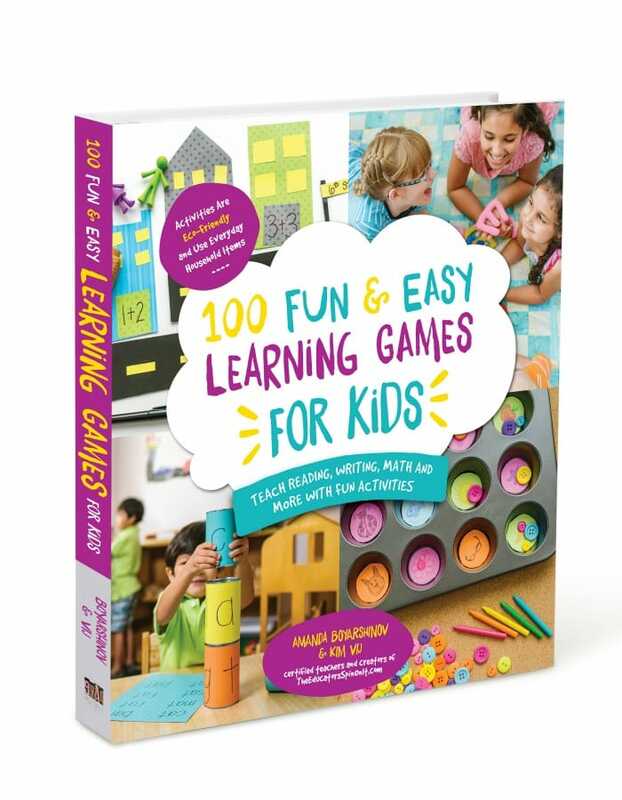 February’s Virtual Book Club Author is Dr. Seuss and we are so excited to bring you more than 30 Ideas to go along with his books! 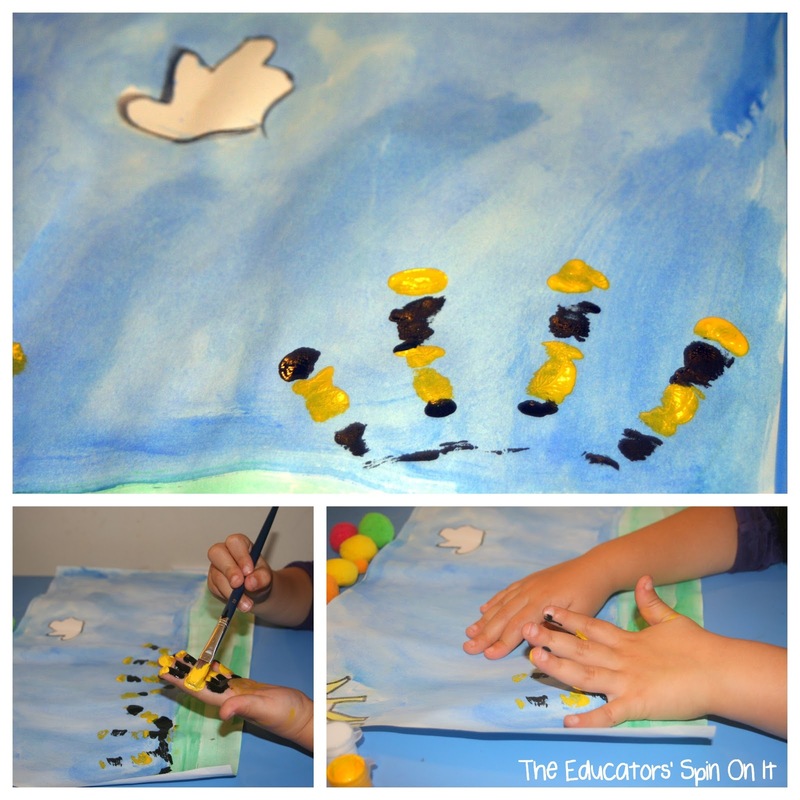 We’re focusing on one special book called The Lorax by Dr. Seuss with our children. We’ve been working on Acts of Kindness and I think this book ties right into those same goals. 2. Handprint Truffula Tree by using yellow and black paint to create the stems of your trees with your finger only, no paint on the palm or thumb. 3. Add the tops using DIY Stamps by attaching a foam sticker to a recycled lid. Just simply cut out the desired shape first then dip in paint and stamp. 4. 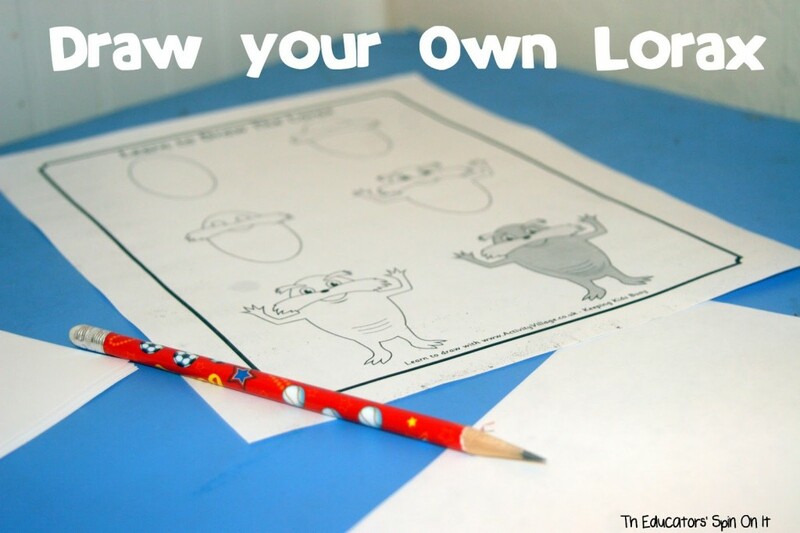 Draw your Own Lorax using this printable and video to learn how to make your own Lorax. 5. 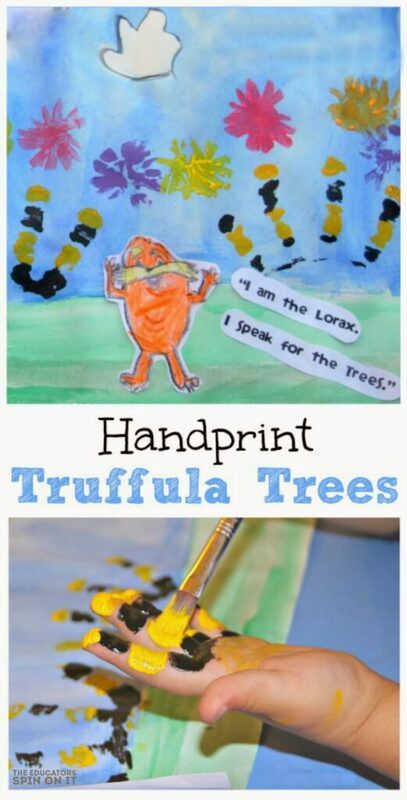 Then attach your Lorax and words to your dry paper full of truffula trees. We had so much fun making our own Truffula Trees and the Lorax. We decided to print out the quotes from the book too to remind us of the important of making a difference. We typed out “I am the Lorax. 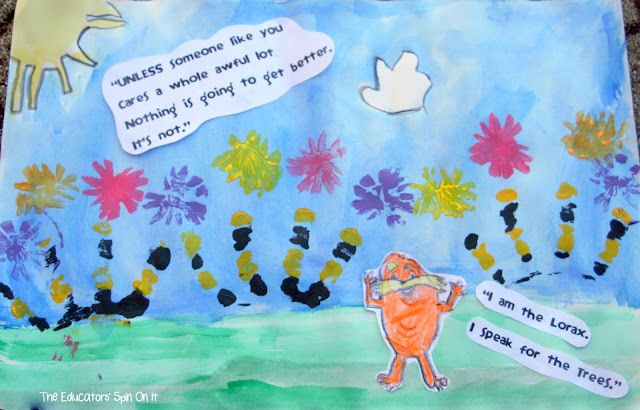 I speak for the Trees.” and “Unless someone like you cares a whole awful lot. Nothing is going to get better, it’s not.” by Dr. Seuss. We talked about ways that we can care for our trees. Are you ready! We’re sharing different ways to explore The Lorax with Kids Crafts and Activities! 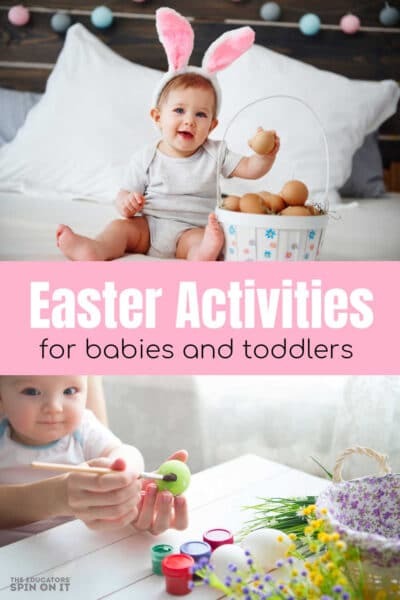 We’ve used our teacher and mama eyes to find you the best printables, learning activities, playtime fun, snacks, party Ideas, crafts and videos. Don’t have time to make your own. Get this Lorax Cake topper or cupcake toppers to add to any food item you’re serving. Or just add this Dr. Seuss Hat made for food items! We’ll leave you with a little video clip of Let It Grow with scenes from the movie The Lorax. 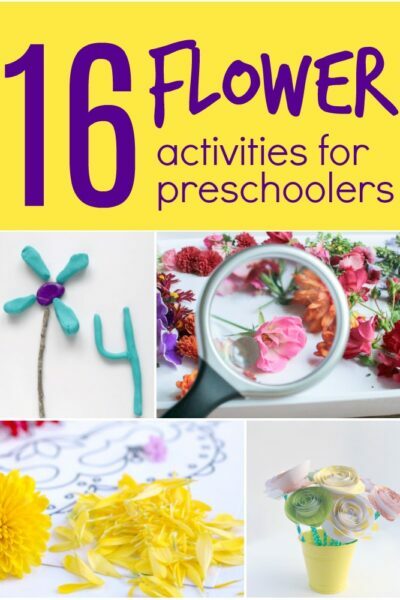 Look for for ideas for planting with kids coming this spring! 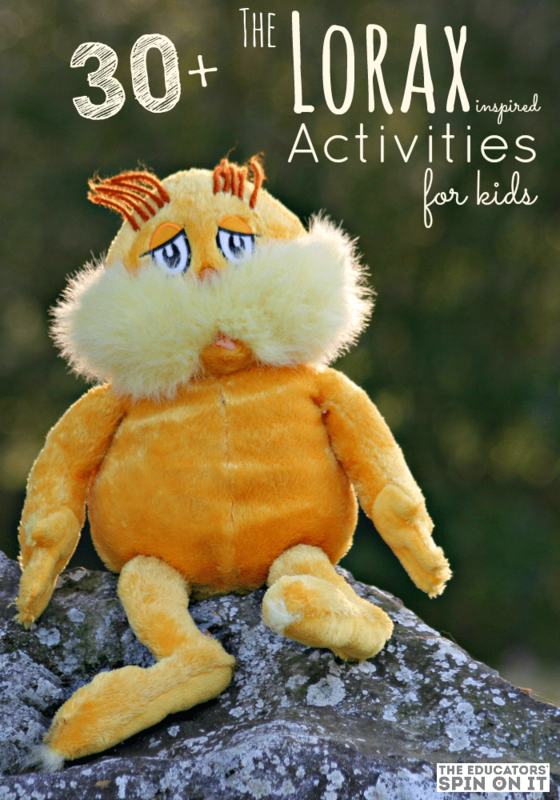 There are so many ways to have fun with The Lorax with your child! Which one will you try first? 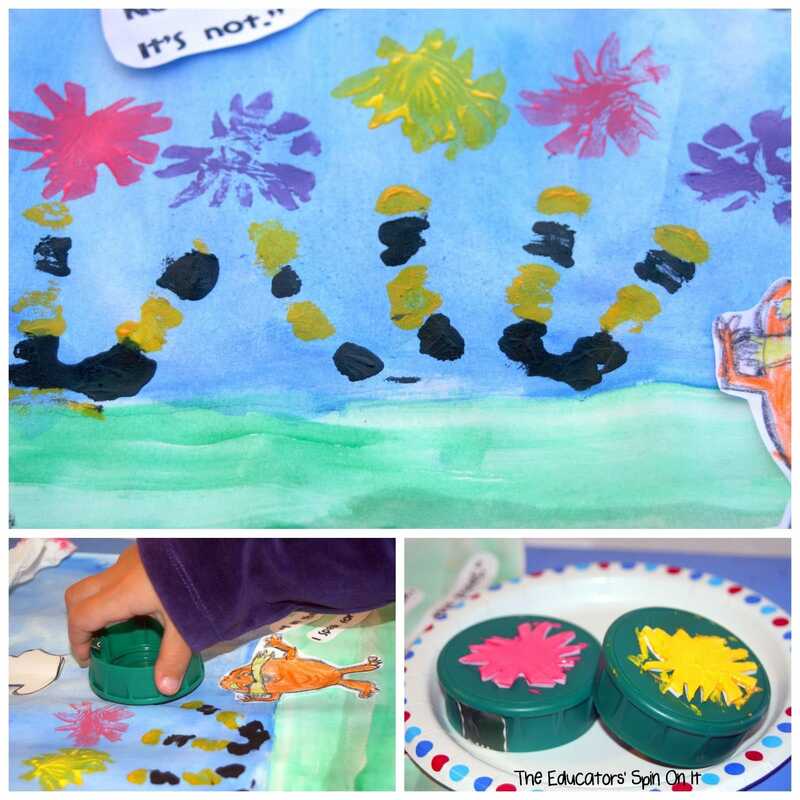 Dr. Seuss has inspired many more activities, crafts and game for us. 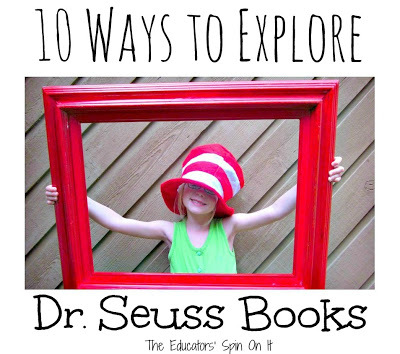 Take a peek below for 10 Ways to explore Dr. Seuss. The Lorax is one of my son's favorite Dr. Seuss books. 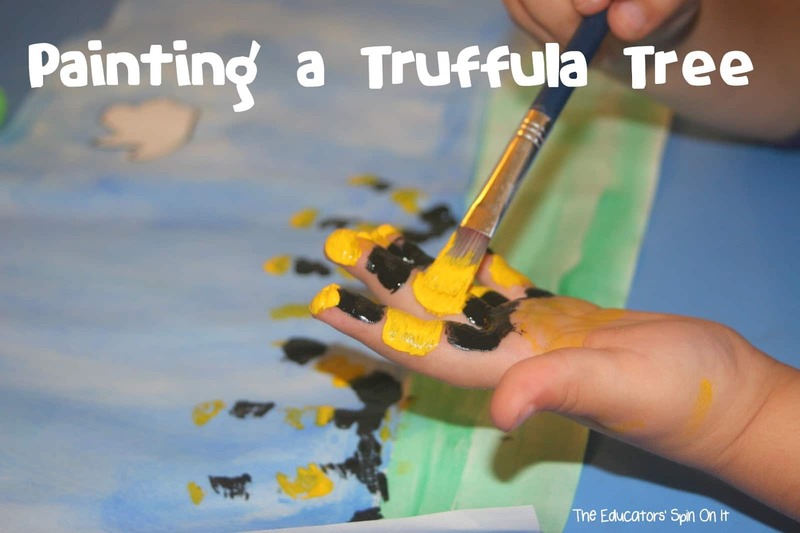 He would love making truffula trees with his handprints! 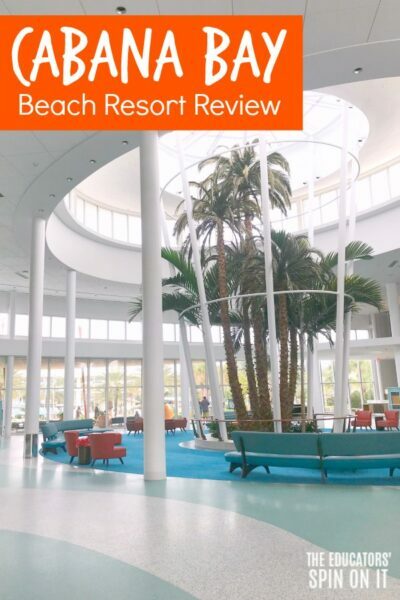 I would love to share your post on my blog. There are so many great ideas. I will wait to hear from you all! Sara I'm not sure why it's not showing up, are you able to delete it and just resubmit it? If not we can delete it, just let me know. Thank you so much for sharing with us! 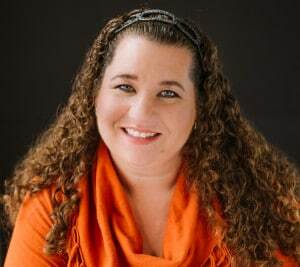 We'd love for you to share a link of our post on your site, thanks for asking Sarah. It was a lot of fun, we talk about ways to use our hands to help protect the trees too so it was symbolic for her. The Lorax is definitely one of my favorites! Your painting is wonderful – so cheerful. We'll see if we can fit something of Dr Seuss to participate in this link up. Hi. Thanks for getting back to me. I do not see a way for me to delete it and repost. If you can do so on your end, please let me know so that once you delete it, I can repost. Thanks! Very innovative the way you made your Truffula trees. 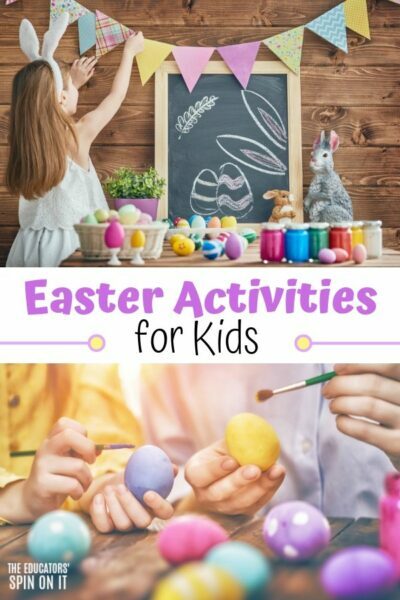 I think the kids would love making them also. They look so good. Thanks for sharing these. Kids will surely enjoy these. Great hub. I'm going to send this to my mom. 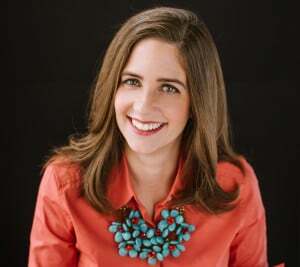 She's taking care of my pre- school nieces this summer and they absolutely love to do craft projects. Thanks. Up and useful.